Thank you for attending the 7th annual Pancake Breakfast with Santa and the Pirate! 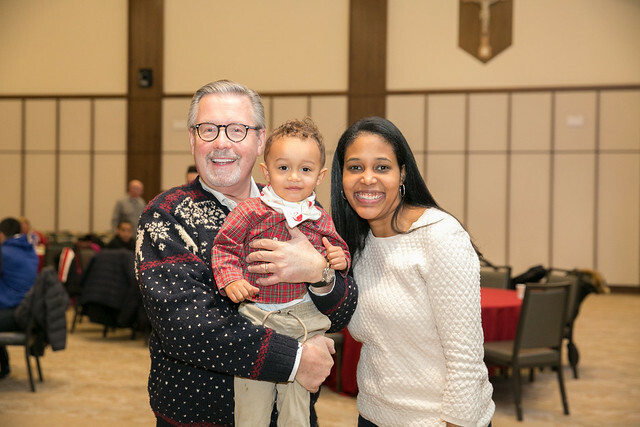 To see so many Seton Hall families come home to The Hall to celebrate Christmas with one another demonstrates the importance of maintaining a lifelong relationship with the Seton Hall community. Thank you to all who brought gifts for DOVE's toy drive to benefit undeserved children in our area. Your generosity has made Christmas a happy time for many families. If you weren't able to bring a toy or make a gift in support of DOVE's efforts, you can do so below! Again thank you for celebrating Christmas with your Seton Hall family and for your generosity during this special season. Photos of the event can be seen and downloaded below.